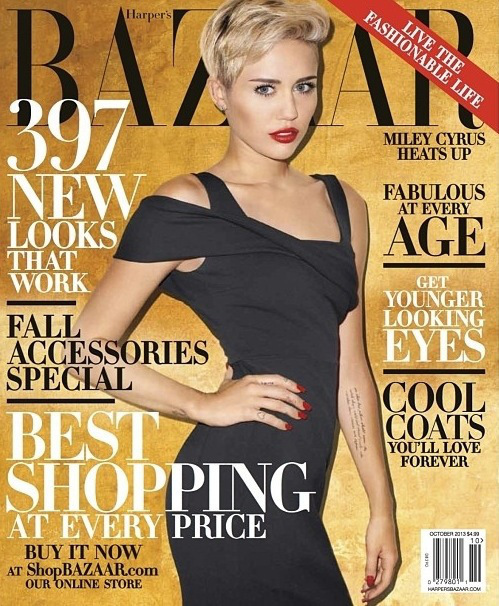 Pop star Miley Cyrus covers the new issue of Harper’s Bazaar magazine. We’re more shocked the singer even has in clothing for the cover. Cyrus has been in the news as if late for her outlandish and twerking out VMAs performance with Robin Thicke. She’s also broken Youtube’s record for most views in a single day for new visual, “Wrecking Ball“. You know, the video where she straddles the large destructive object naked?! Yeah, that. Are we liking the new HB cover?